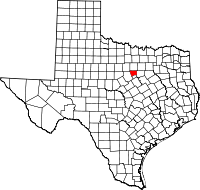 Hood County records are maintained by the Hood County Clerk (http://www.co.hood.tx.us/index.aspx?NID=211). State recordkeeping began in 1903. The county keeps original copies of vital statistics and provides copies to the state. Records kept include birth and death certificates and marriage licenses. Certified copies of non-public records are provided only to qualified applicants. Certificate requests may be made at the local office or by mail; an application form is available at the website. Birth certificates are $23.00; death certificates are $21.00 for the first page and $4.00 for each additional page. Marriage certificates are $8.00, plus a $5.00 certification fee and a $5.00 search fee if required.